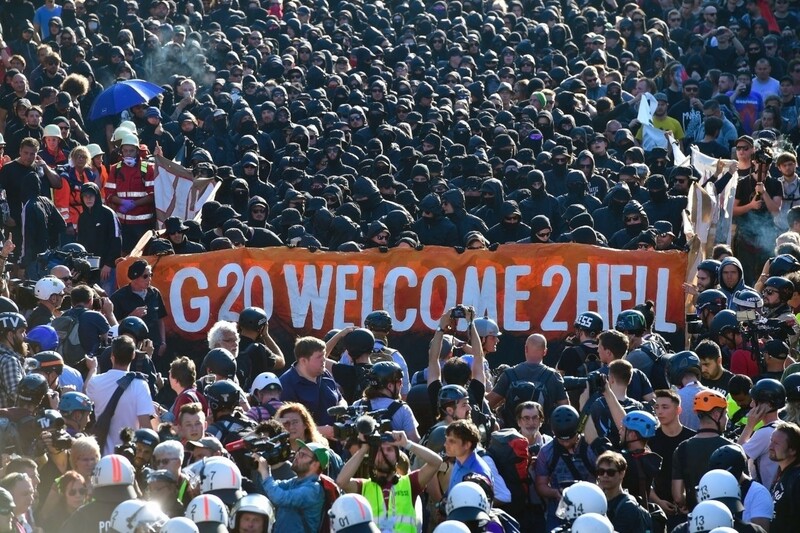 The event was the first large protest to take place during the G20 summit, which officially kicks off on Friday, and is expected to see violence. 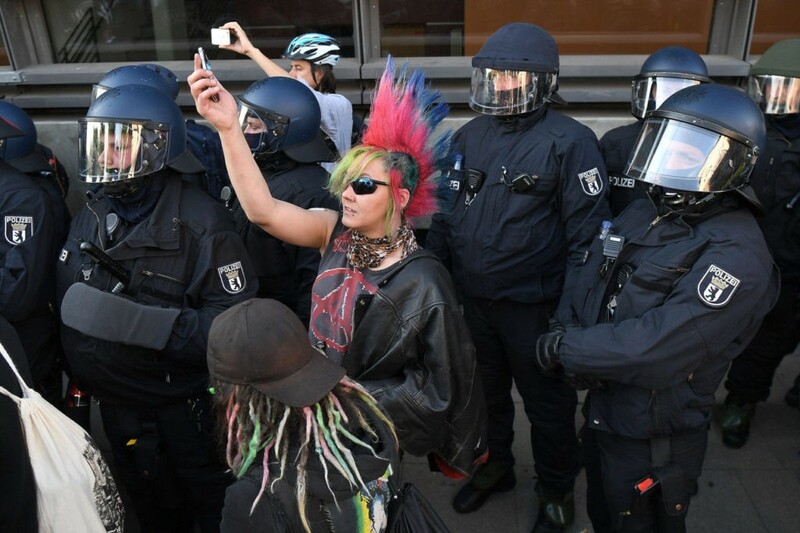 Far-left extremists using so-called “black-bloc” tactics are expected to clash with the over 10,000 police who have been called in to manage security for the meeting between global leaders. 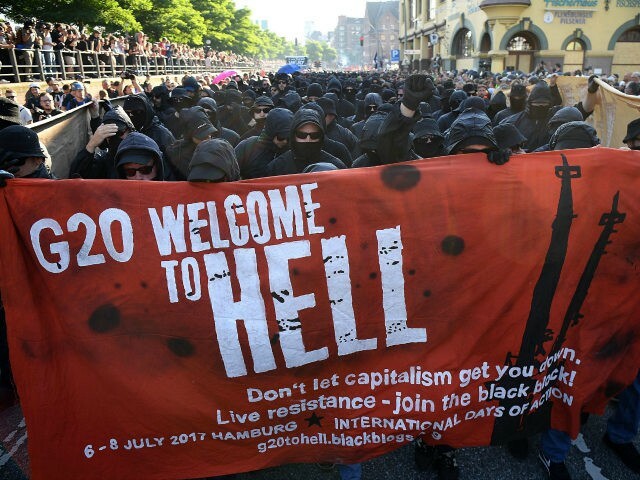 The protests started out peacefully during the early afternoon on Thursday, with many Antifa left-extremists taking part in the march. 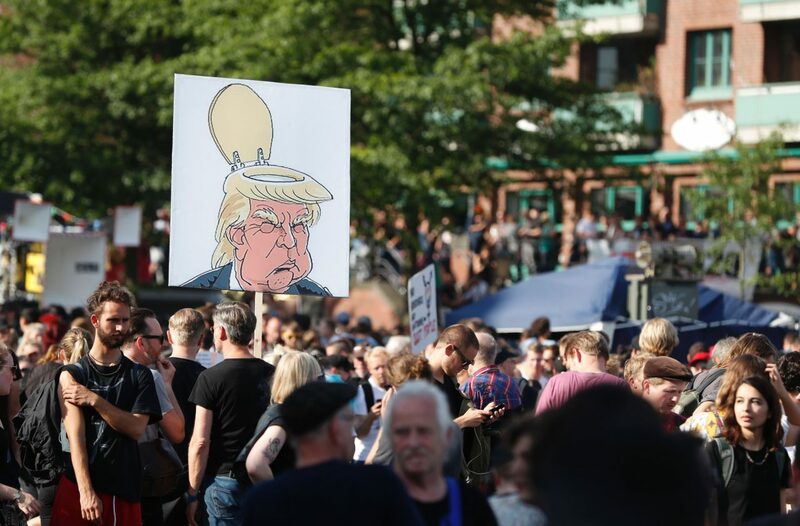 Hamburg authorities believe that extremists came to Hamburg from all across Europe to attend the demonstration. Police also feared large-scale violence after the discovery of a large “weapons cache” in two residences in Rostock this week. Authorities say they found flammable liquids in containers, multiple knives, batons, and unknown chemicals. 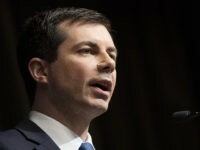 Authorities arrested two men and are considering bringing charges of attempting to form a terrorist group against the pair. 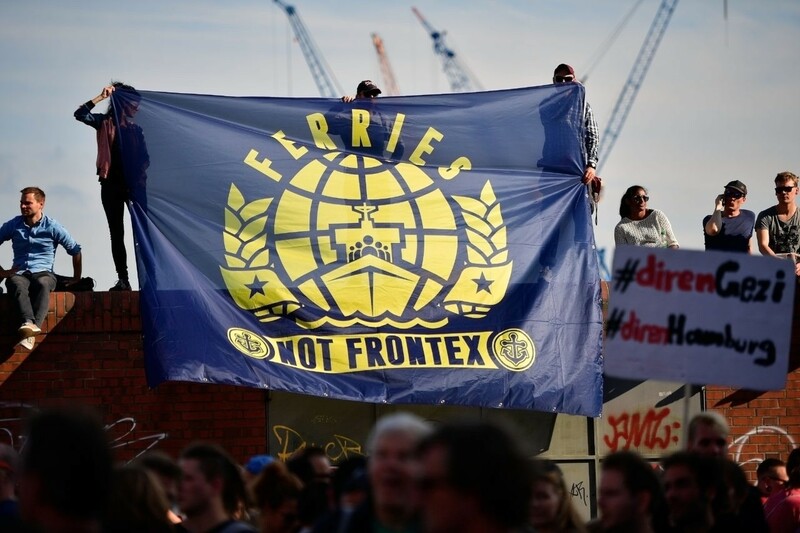 Open borders activists were also present at the march, holding a banner reading “Ferries not Frontex”. Frontex, the European Union border agency, has accused pro-migrant rescue NGOs of encouraging more migrants to make the voyage from Africa to Europe. Others have called the NGOs a “taxi service”, claiming they work with people smugglers to bring migrants to Europe. 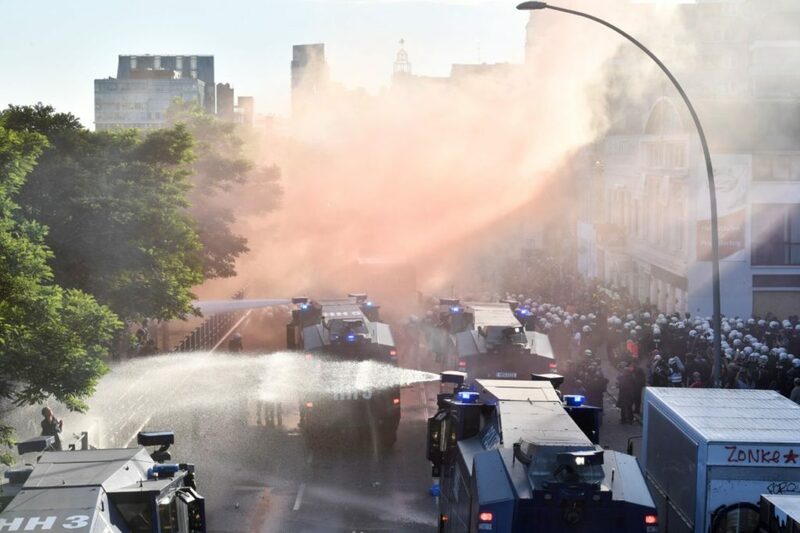 The police were out in force deploying water cannons at the event, which they ended up using against the left-extremist black-bloc members. 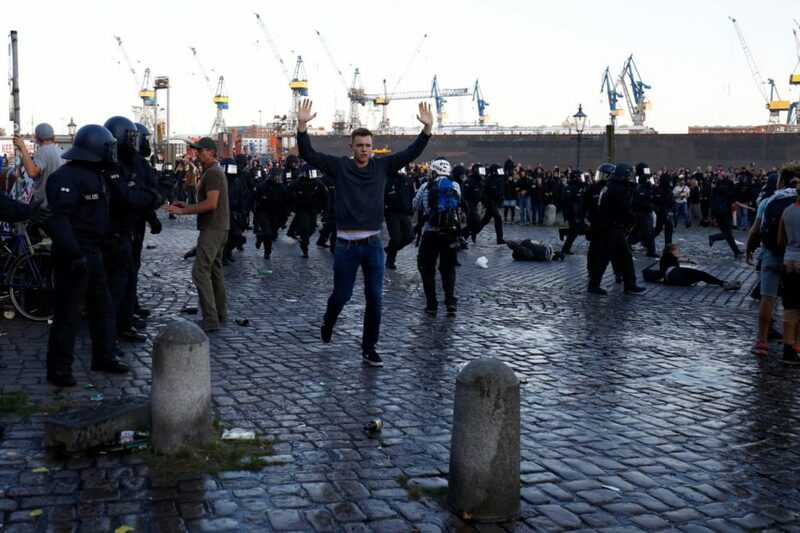 At around 8 pm local time, police attempted to separate the black-bloc extremists from the rest of the crowd and several reports emerged of violence towards police officers. 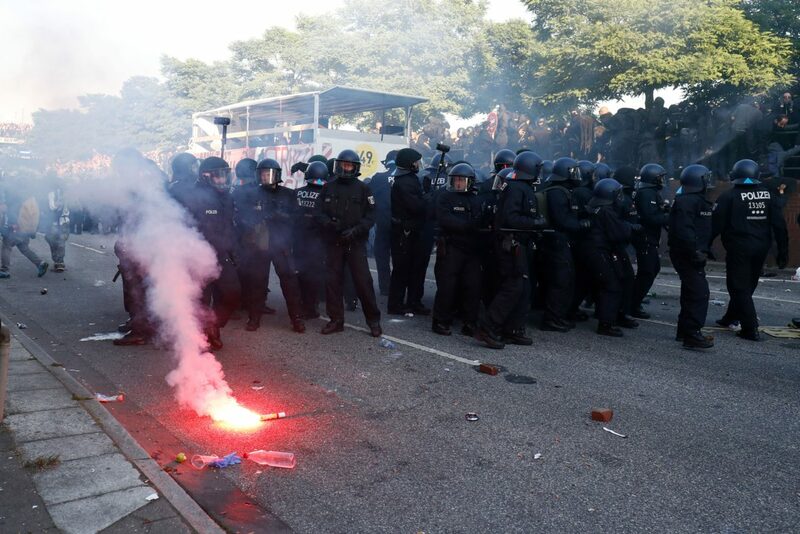 German magazine Der Spiegel reported that bricks and flares were thrown at officers and their vehicles. 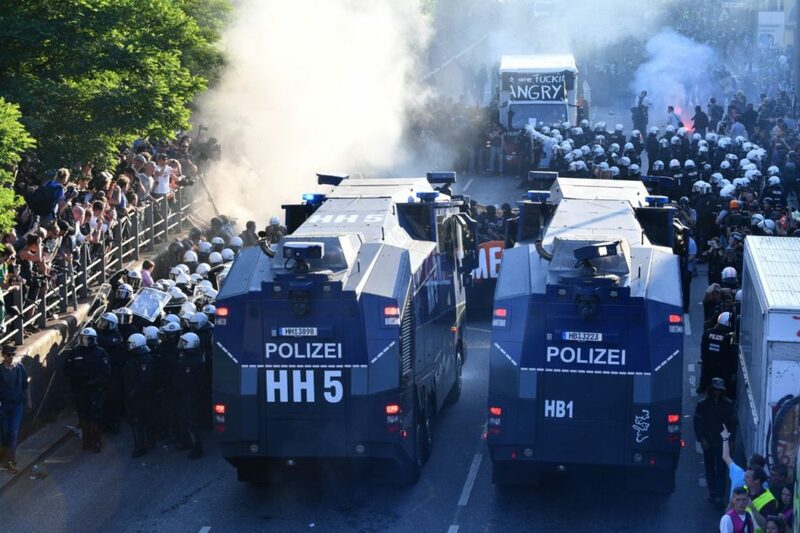 Hamburg police reported on Twitter that protesters had set at least one car on fire. The demo officially ended at the Hamburg fish market shortly after 8:30 pm (Central European summer time).